With amazing palaces, grand romantic gestures, and scrumptious food tick your boxes for a bucket list adventure. Then you should hurry over to visit the so-called Golden Triangle of India. 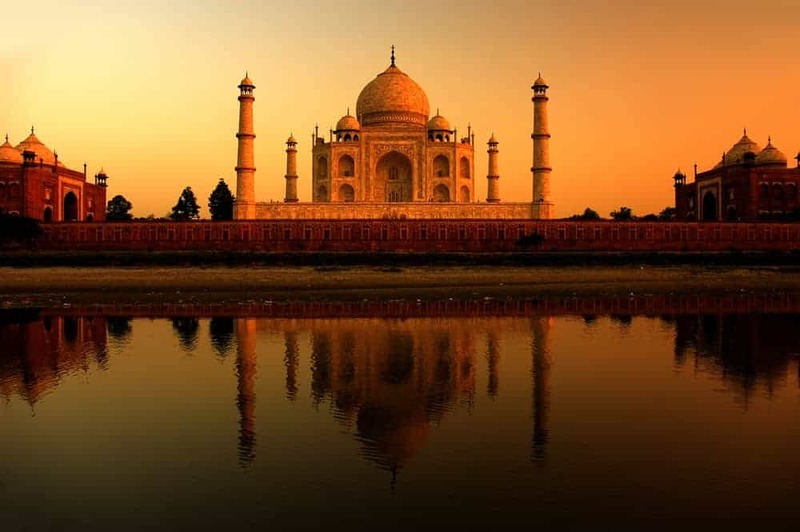 Covering a super popular tourist itinerary in India, a Golden Triangle of India tour covers 3 cities (New Delhi, Agra, Jaipur) and hundreds of years of history. In a short few days, you will get a highlights of India experience. If you are like most people, this short taster trip will leave you wanting to explore more of the country. 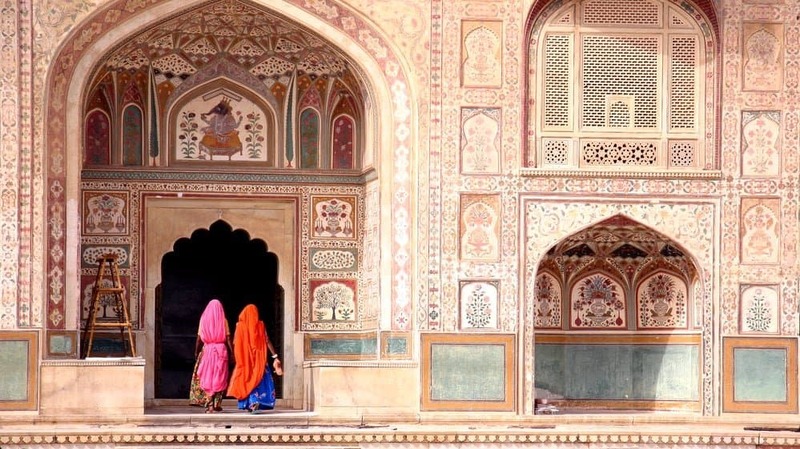 An Indian Golden Triangle tour though is intense. 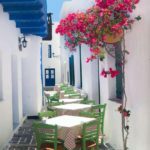 I would totally suggest a Golden Triangle and beach holiday combination to have a chance unwind and to reflect on all the amazing things that you have experienced before you go back to your own reality. 1 What is the Golden Triangle in India? 4.7 Join our growing community of readers! What is the Golden Triangle in India? 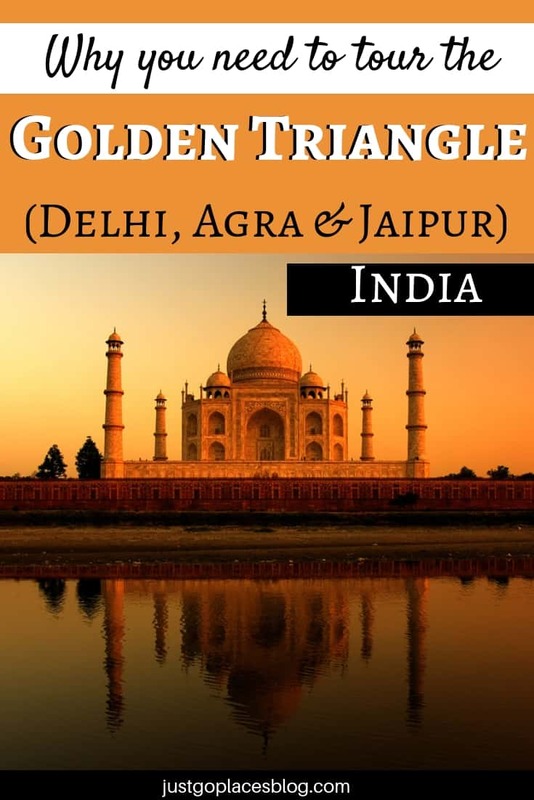 The Golden Triangle in India (sort of like the Golden Circle in Iceland) is a popular tourist route in India. Yes, The Golden Triangle India tour is not off the beaten path but for a quick overview of Northern India’s landscapes and heritage it can’t be beat. Sometimes the well-worn path really is the best one! The Golden Triangle India encompasses three cities (Delhi Agra Jaipur) which includes the capitol city, the two UNESCO world heritage sites of Agra (the Taj Mahal and the Agra Fort) and the proposed UNESCO world heritage site that is the city of Jaipur. A quick look at a Golden Triangle Map India shows you where the Golden Triangle in India got its name. Yes, it’s a triangle! surprise. 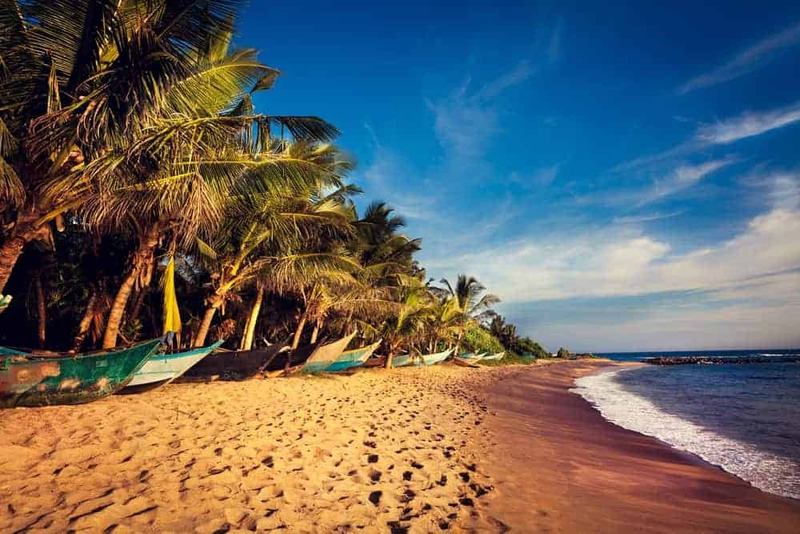 Here’ I’ve shown the Golden Triangle India with the suggested beach escape in Sri Lanka. The usual route for a Golden Triangle trip is from Delhi to Agra to Jaipur. Each part of the journey takes about 4-6 hours. The best way to sightsee the Golden triangle of India is by car. There is an express train that connects these cities but it does take longer. The three main city of the Golden Triangle are Delhi, Agra and Jaipur. Agra is located a distance of 210 kilometres (about a 3 hour drive) away. Everyone goes to Agra to see the Taj Mahal and the Agra Fort, both UNESCO world heritage sites. The Taj Mahal is indeed gorgeous but it is super crowded – no one leaves the Taj Mahal without forming an impression whether or positive or negative. From Agra to Jaipur, the distance is about 240 kilometres (about a 5 hour drive). Jaipur has requested to have the historic city be protected on the UNESCO world heritage list (similar to Toulouse in France. Ouro Preto in Brazil and Philadelphia in the USA). It’s known as the pink city because of its many sandstone buildings. Jaipur has many fascinating sightseeing places: the UNESCO World Heritage Listed Observatory (Jantar Mantar), Amber Fort, the City Palace complex, Water Palace (Jai Mahal) and Wind Palace (Hawa Palace). The distance from Jaipur back to Delhi is 250 kilometres (about a 5 hour drive). Either on the way to Jaipur or on the way back to Delhi from Jaipur you should check out Fatehpur Sikri. The city of Fatehpur Sikri was built by the Emperor Akbar but was only occupied for 14 years. It had to be abandoned to the desert from which it sprung thanks to a chronic lack of water to keep the city going. 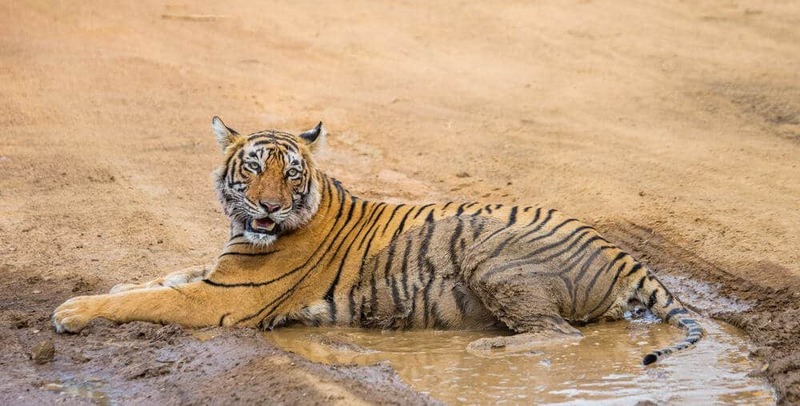 Another place for a detour is Ranthambore National Park (about a 3 hour drive from Jaipur) so that you can combine a India golden triangle tour & tiger safari . One of the largest national parks in India, it was once the hunting grounds of the Maharajah of Jaipur. Ranthambore is one of the best places to see wild tigers in India. Udaipur is another interesting add-on in a tour of Rajasthan. Udaipur is famous its famous Lake Palace set in the middle of Lake Pichola. If you have extra time after Delhi, you should try and combine a Golden Triangle Tour with Varanasi, one of the most holy cities in India. The distance from Delhi to Varanasi is about 250 kilometres (about a 6 hour drive). People bathe and worship on the city steps along the Ganges River which is one of the iconic images of India and of the Hindu faith. Because of the driving times between places, a 5 day golden triangle tour India would give you only 1 day in each city (Delhi Agra Jaipur). For a Golden Triangle Tour 4 days, I would suggest 1/2 a day in each of Delhi and Agra and a full day in Jaipur. 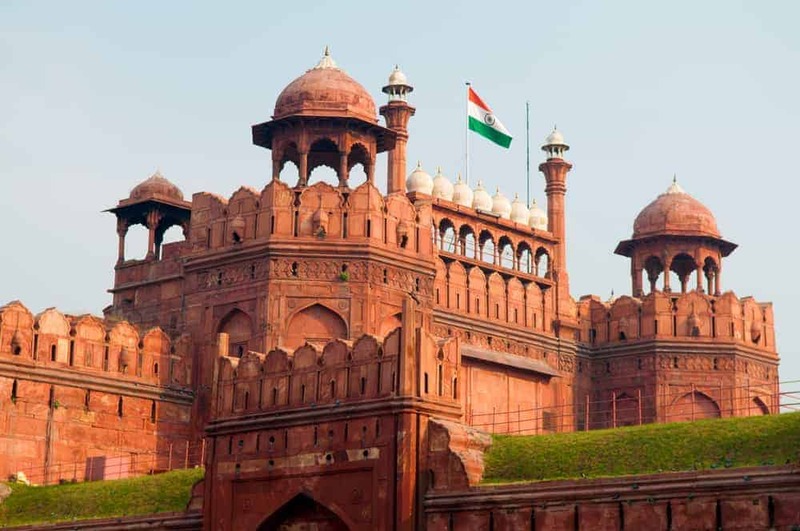 This Golden Triangle trip cuts out some of your Delhi sightseeing. If you had to choose between spending the full day in Delhi or in Jaipur, I’d definitely pick Jaipur which is just more representative of India than Delhi which is a cosmopolitan capitol city a lot like many others. Sure you can do a Golden Triangle tour in 3 days but I would not recommend it. 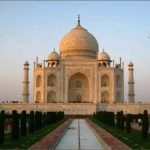 This type of Golden Triangle India tour will have you zipping along from place to place all day and evening with hardly have any time to appreciate the places you are visiting. 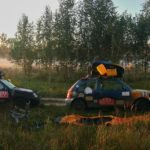 You will be spending more time in the car than out of it but if you are short on time doing a Golden Triangle tour in 3 days is totally feasible. I understand that ‘needs must’ and vacation time is precious. 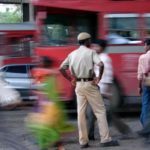 We did a 7 day Golden Triangle Tour in India and we were exhausted. It was beautiful and amazing and all the superlatives you could think of – but also tiring. We even had a luxury Golden Triangle tour with a private driver and staying at some of the best Oberoi hotels in India. We did, however, chose to visit all of Fatehpur Sikr, Udaipur and Ranthambore National Park and a few days in Mumbai on our way to Kerala. We did not combine a Golden Triangle and beach holiday because we thought our relaxing time would be spend on a houseboat on the backwaters of Kerala. Ha! That was more sightseeing. Spectacular but not relaxing. If I were to do it again, I would recommend a beach holiday in Sri Lanka. 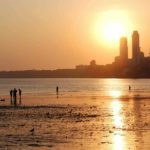 The country of Sri Lanka has miles of sandy coast line dotted with a wide choice of great luxury hotels from the boutique to the eco-friendly. The gorgeous colonial town of Galle is a gateway to some amazing beaches on the South Coast. Mirissa, also on the south coast of Sri Lanka, is known for its whale watching opportunities. I hope you’ve found these ideas for a Golden Triangle tour in India helpful. My suggested Golden Triangle India itinerary is supposed to be adaptable for however long you choose to spend in the area. Sightseeing the Golden Triangle in India is heavy on the history, culture and urban aspects of the country, I would strongly recommend some downtime.